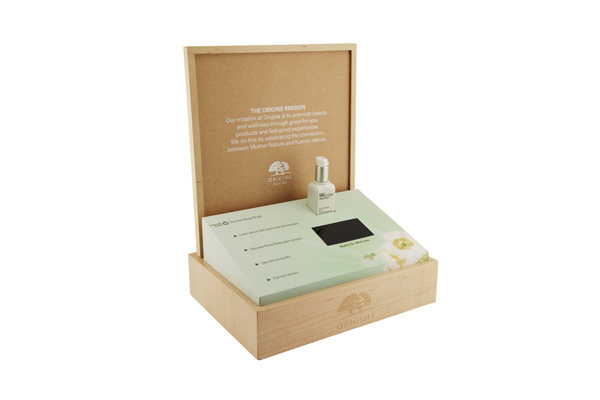 Americhip partnered with Origins to design and manufacture a sophisticated wooden housing with paper based insert to hold its new Mega-Bright skin illuminating serum. We included our proprietary video technology including five chapter buttons which triggered informative video stories detailing the product and Origins' mission, culture and history. Whether through Video, Audio, Lights, Specialty Materials or Motion, our team of designers, engineers, and production experts can help design and produce custom displays to drive sales and boost brand identity.